Objective statement: Provide information on the type of pediatric nursing position you are looking for. Skills: Rather than listing all of your nursing skills which could distract from the most important ones, just focus on the skills covered in the job criteria for the position you are applying for. Use bullet lists to present these relevant skills so that they stand out and draw the eye when your resume is being scanned. Formal qualifications and certifications: Provide the necessary details of your nursing degree or degrees. Those are the name of the school, the date that you graduated and the degree received. Your RN nursing license details that are required are the state/states you are licensed in and the date your license became valid. 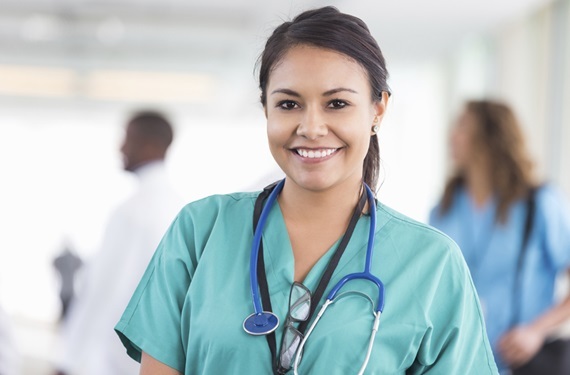 The details of your nursing license will need to be given including the state/states you are licensed in and the date that your license became valid. Your Pediatric Nurse Certification through the PNCB is required as well. Employment history: List all previous nursing employment beginning with the most recent, and a summary of what your duties were in each job. Be specific when discussing what area of nursing you worked in. One useful tool to help write your resume is the pediatric nursing resume sample. For nurses working on a pediatric nursing resume, the sample can be used as a writing guide. With the different subspecialties in pediatric nursing as well other factors it can be a bit confusing. If you are confused consider getting nursing resume help from a career center, a supervisor or even a professional service. Don’t submit a resume you wrote if the whole process confused you. 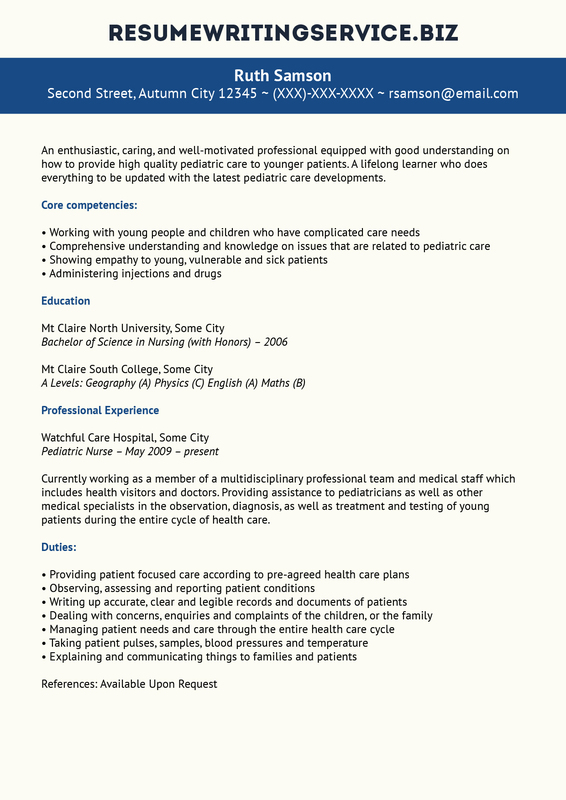 This nurse resume sample can help you out if you lack inspiration and don’t know where to start from. Is the resume neat and professional looking? Did you avoid using paragraphs and long sentences that make scanning more difficult? Does the resume use bullet lists and other techniques to highlight the most important information? Have you made sure all the credentials and formal qualifications are included in your resume and that all details are correct? Don’t get in a hurry and submit your resume without this final proofreading. You want your resume to attract attention and generate interest while providing employers with a good professional image. Pediatric nurses are among those RNs that make up the 2.8 million registered nurses working in the U.S. The yearly salaries of pediatric nurses pretty much mirror the salaries of RNs. The median wage for a RN is $69,790 or $33.55 per hour. The best paid ten percent of registered nurses make over $96,000 annually while the bottom ten percent earn around $45,000. Pediatric nurse’s wages are essentially the same. Employment of pediatric nurse is projected to grow 19 percent over the next 10 years which is better than the average for all occupations. You might be also interested in our outstanding ER nurse resume, so don’t hesitate to have a look! We can easily help you with your pediatric nurse resume, so don’t hesitate to get in touch!